To celebrate the re-release of The Key of Amatahns by Elisabeth Wheatley, Inkspelled Faery is hosting ten days of visiting your favorite authors as they talk about their very first novels, topped off by an all-day Facebook party with fun, games, and giveaways. Check out the full line up of authors and don’t forget to join the Facebook party on the 25th! It has begun! Fourteen years after a catastrophic disaster, the world has regained its balance with the help of the Primortus. They have secretly walked amongst us since the beginning of time, protecting the earth with the power of the elements. When a fourteen-year-old girl is given two mysterious gifts from a father she never knew, she is drawn into their dangerous world of magic. 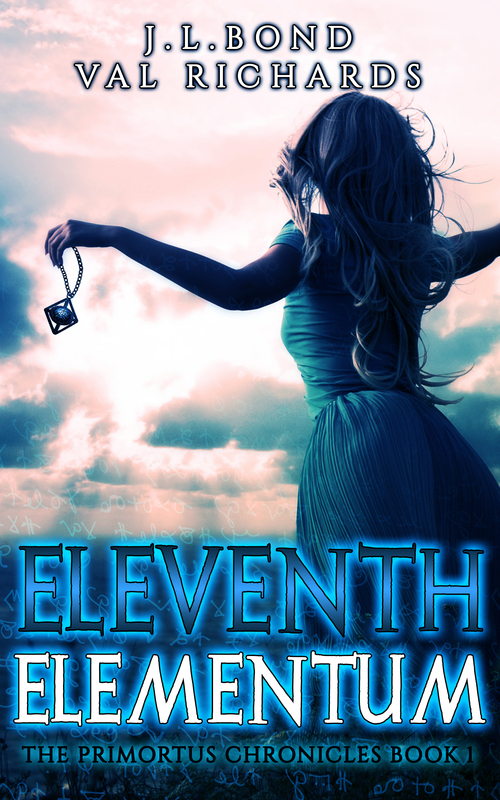 She must learn to wield the power of the Eleventh Elementum to survive. With the help of Will (her best friend), his cousin and her new stepsister, she seeks out the evil that threatens New Zealand. But a black-eyed stranger is watching their every move. Now, two powerful beings will battle one another and the outcome will determine our way of life. To start us off, can you sum up your first novel in a tweet, 140 characters or less? What are you most proud of in this title? J.L. 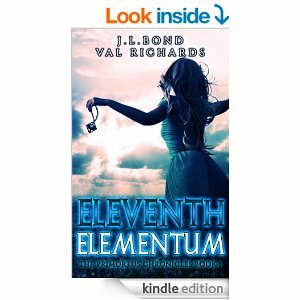 : I love the fact that our complete title, ELEVENTH ELEMENTUM-THE PRIMORTUS CHRONICLES BOOK ONE, is “one of a kind.” We accomplished that by making up a couple of words… Elementum: An ancient magical amulet and Primortus: Supernatural Beings tasked with protecting the earth. Val: We really like the idea of no other book titles coming up when a reader searches for our book. Do you think your writing has changed since your debut? In what way? JL: I certainly hope so! (laughter) I’m not saying our first book is bad– it’s a great story. I just mean that we have learned so much. Val: Yes we have. Now, in what way? JL: I’d say we have a better understanding of the writing process. I think we’ve both improved our grammar skills! Val: And by the time we were through with our second book, we found that we didn’t have to do as many rewrites and edits. If you could give one piece of advice to yourself when you were writing your first book, what would it be? Val: Don’t get too attached to your own words. JL: Be realistic and be patient with yourself! Writing is a marathon not a sprint. You can’t write a book overnight. Most incriminating thing you researched for this novel? Val: Torture techniques-imagine my surprise when all sorts of images came up on my computer screen. Man, did I learn A LOT!! JL: I was worried that homeland security might come a knockin’ on our doors. Anything you would do different if you could do it over again? JL: I would fly Val and myself to New Zealand so we could be inspired by the setting of our book. I am fantasy writer…so I can dream that that might have been possible. Val: Here Here, I’m a big fan of dreaming!!!! If you thought this was fun, drop by the Facebook party going down on the 25th for more interviews with your favorite Fantasy authors as well as games and goodies galore!